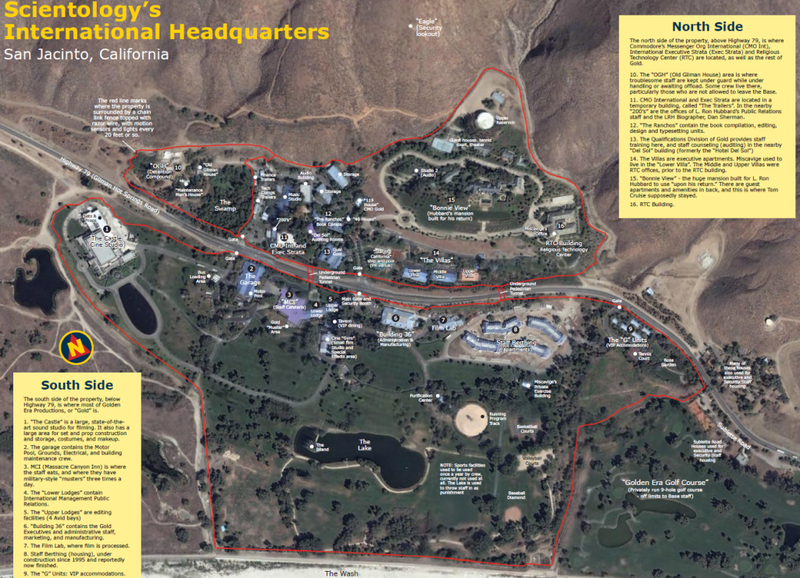 The international headquarters of Church of Scientology, also called the Gold Base or Int Base,1 is located on a 500-acre parcel of land in San Jacinto in Riverside County, California. 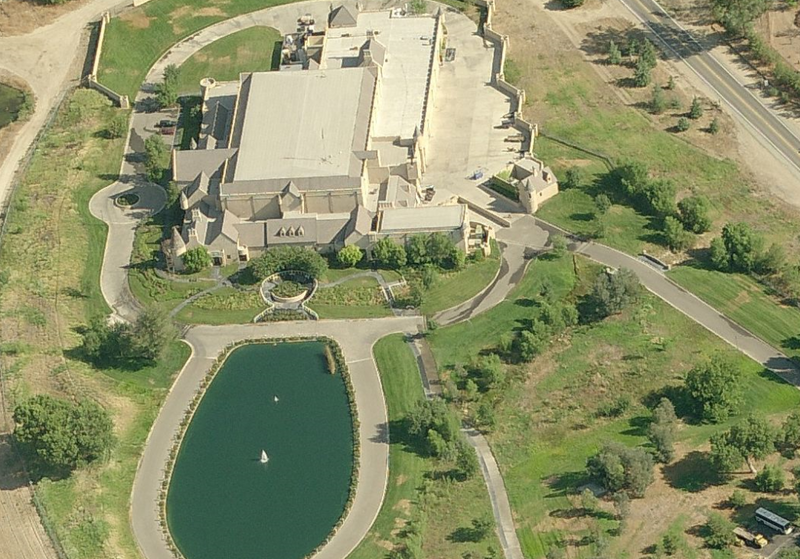 The Church of Scientology purchased the site, a former resort used by celebrities, in 1978. Many of Scientology’s organizations are headquartered there, including the Religious Technology Center, the Commodore’s Messenger Organization International and Golden Era Productions. Golden Era Productions manufactures the E-Meter and produces and distributes all church audio-visual materials, both internal and promotional. The motif of the facility is designed to look like a Scottish castle, perhaps as a reference to one of Hubbard’s largest ideological inspirations Aleister Crowley. Like Mr. Crowley’s Boleskine House, which is located near Loch Ness, Scotland, Mr. Hubbard also refers to his house in a singular epithet “Bonnie View”. 2 The two facilities also share architectural similarities and the Boleskine House is considered to be of great importance in Thelema, Crowley’s own psuedo-religious magical organization. Scientology has a long, sometimes stormy history in the Inland area, dating to the 1960s, when the first mission opened in Grand Terrace. In 1974, the church opened a mission — then the largest worldwide — near University Avenue and Lime Street in Riverside, in what is now the Life Arts Center. But Scientology’s largest presence here is the Gold Base — home to Golden Era Productions, where all the church’s training videos, books and audiotapes are made. The compound is nestled against rolling green hills and bisected by winding, two-lane Gilman Springs Road. 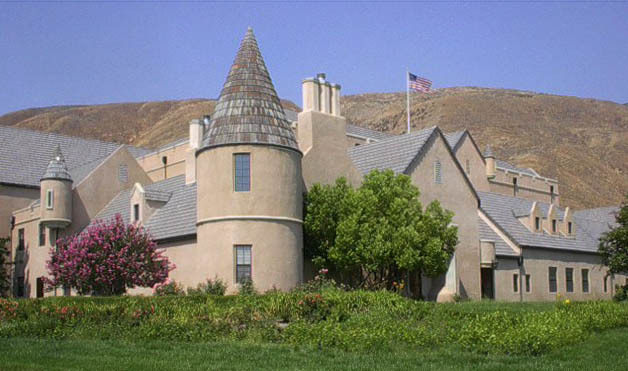 The movie studio is designed after a Scottish castle, with conical turrets and a sky-blue tiled roof. Each of the three dozen buildings in the complex shares the motif. Flagstones line bright white exterior walls and gates are made of rough-hewn oak on wrought-iron hinges. Fraser joked that people stop “about 50 times a day” just to ask what the place is. 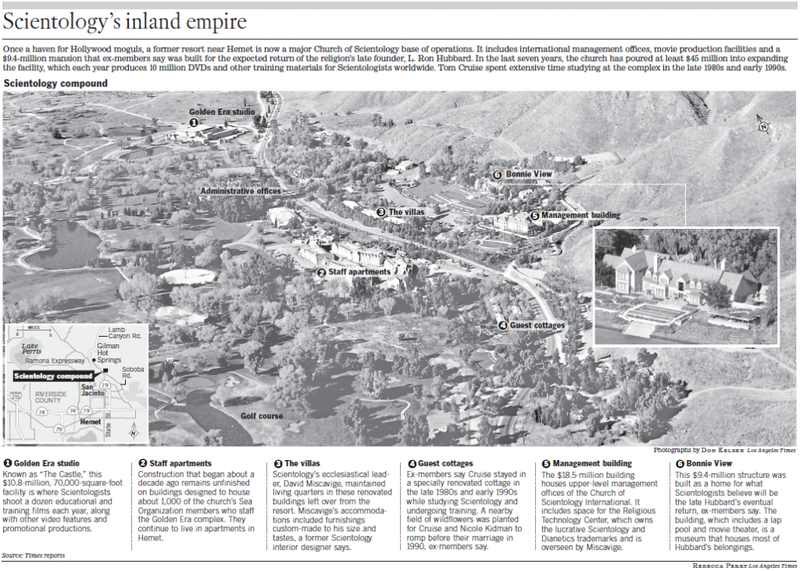 The church bought the site, formerly a resort popular among Hollywood moguls, in 1978. Golden Era’s high-tech studios produce 300 different videos, films and audiotapes a year for distribution worldwide, along with books, television commercials and E-Meters — the electronic devices used for personal counseling, an underlying feature of Scientology. 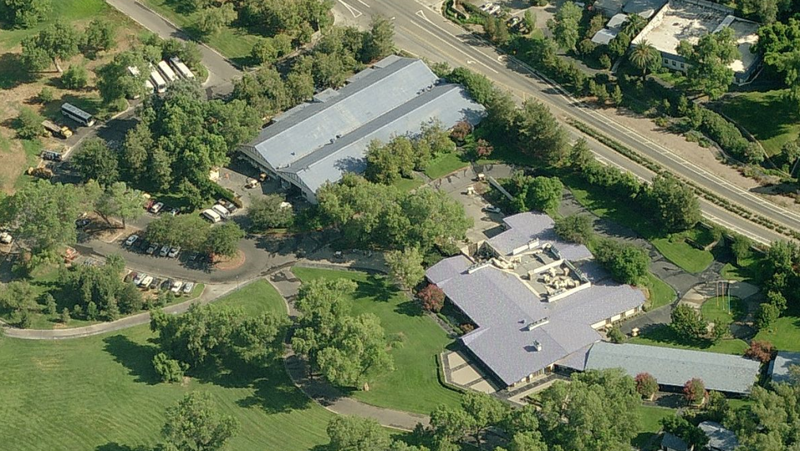 About 500 staff members live and work at the base, and another 100 or so non-Scientologists are employed there. Photographs of Hubbard are everywhere, and several corridors are lined with signed photos of celebrity Scientologists, including John Travolta and Isaac Hayes. Fraser said the site has hosted more than 100 fundraisers for local charities. She serves on the board of a youth museum, and another staff member is on the Hemet Public Library board and helped with a plan for San Jacinto’s Main Street. BonnieView—L. 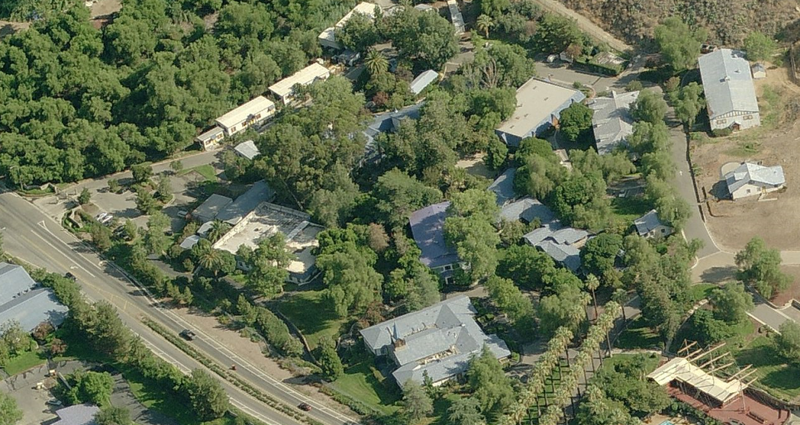 Ron Hubbard’s fully-furnished mansion, still maintained and staffed in the belief that he will return in another body. OGH buildings—Old Gilman House. Formerly “isolation” space for physically ill staff. Possibly now used for auditing or solo auditing. Del Sol—CSI offices, and auditing rooms for staff. Staff berthing—four buildings where staff live. Qual Gold—Headquarters for Qual Sec, in charge of “quality control” as per the Hubbard organization policies. In practice this mostly means facilities staff auditing and training. 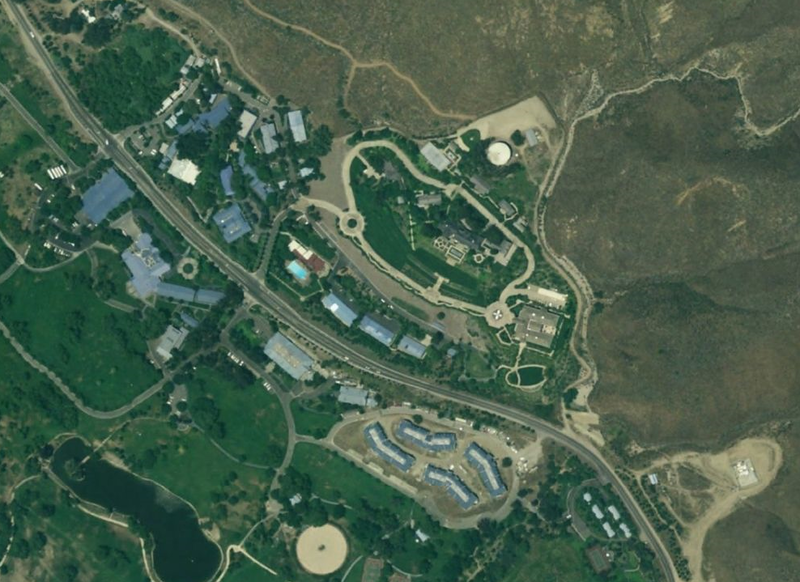 MCI—This large building is the staff dining hall, known as “Massacre Canyon Inn” from the building’s pre-Scientology name when the property was a resort. 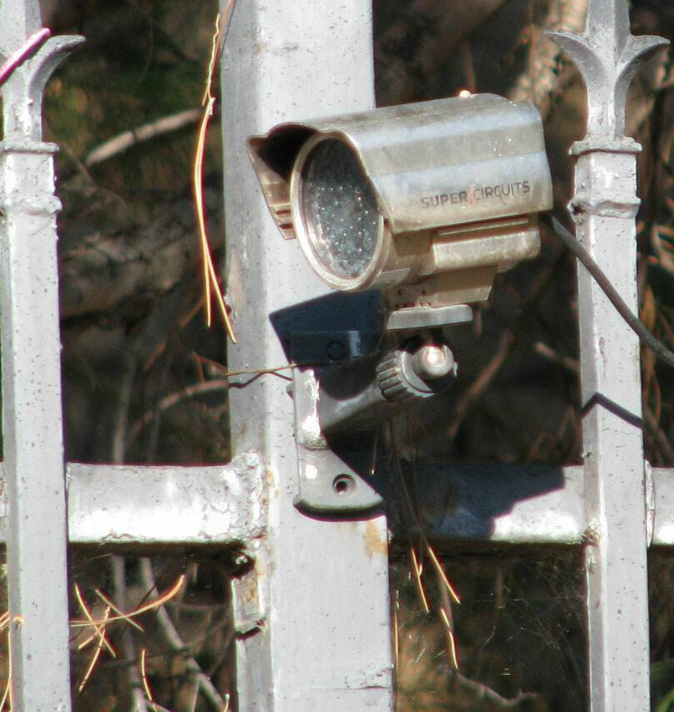 Gold Base has a number of unusually strong security measures, including razor-tipped fences, motion sensors, snipers nests and a large number of regular and infrared CCTV cameras. However, it is unclear whether the purpose of many of these security measures is to protect the base from outside threats or to keep unruly members inside the compound. 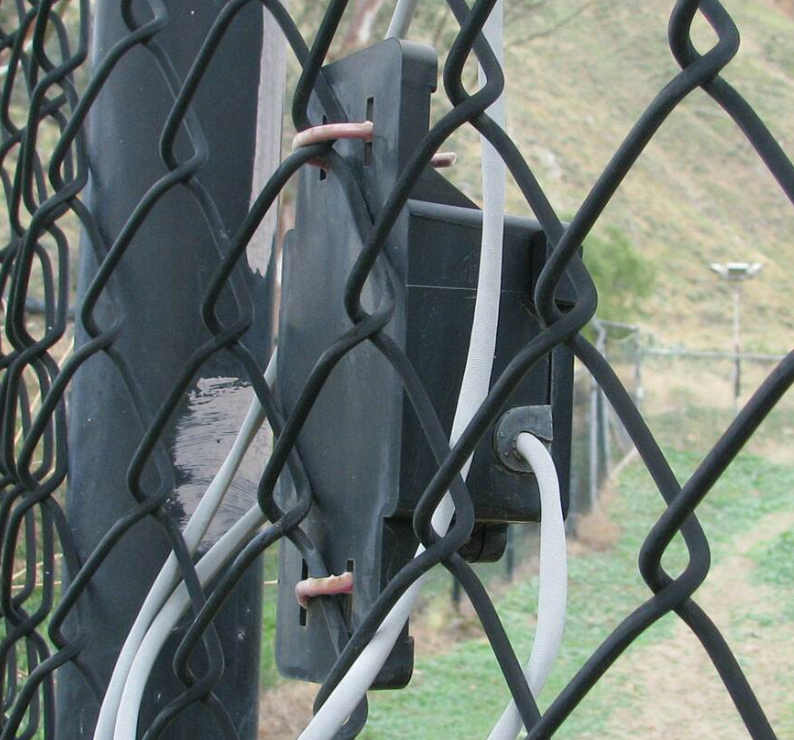 The outer fences are lined with razors and motion sensors at regular intervals of approximately 20 ft. The facility also has infrared cameras, anti-protester speaker systems as well as floodlights arranged at regular intervals. There are are also “lookout posts” that are akin to snipers’ nests in the sides of the hills surrounding the complex. 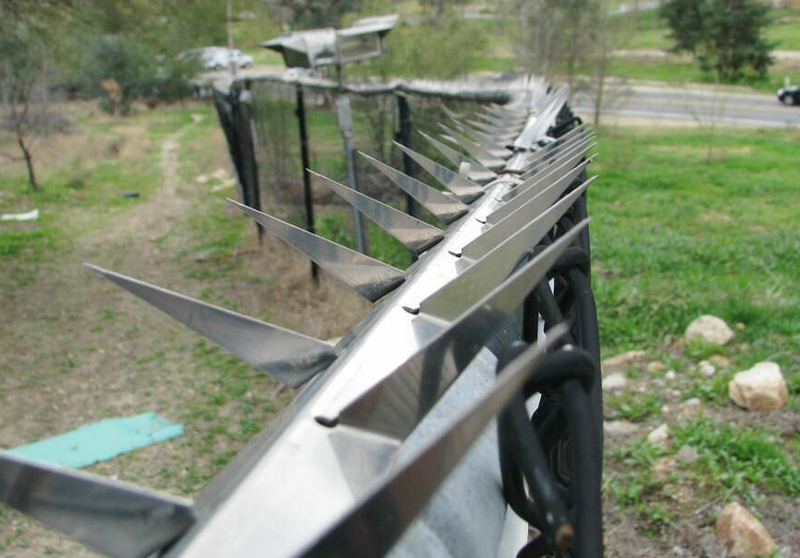 Razor-tipped fences at Gold Base point both inward and outward. Motion sensors are positioned at regular intervals along the outer fences of Gold Base. Infrared cameras are positioned around Gold Base. 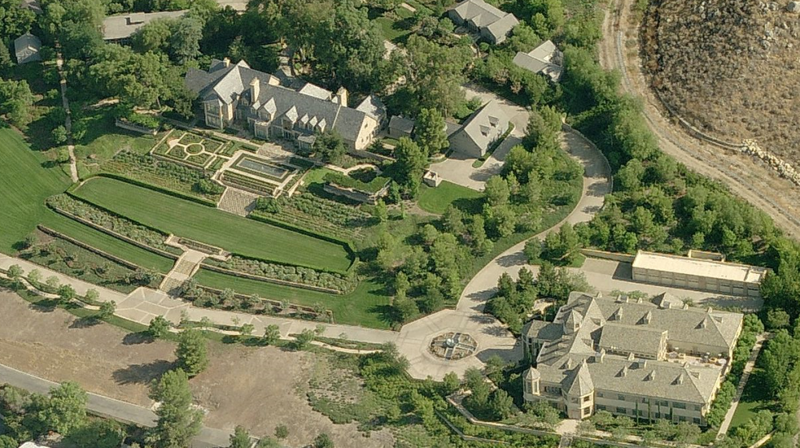 The large mansion at top right is L. Ron Hubbard’s former house “Bonnie View”. 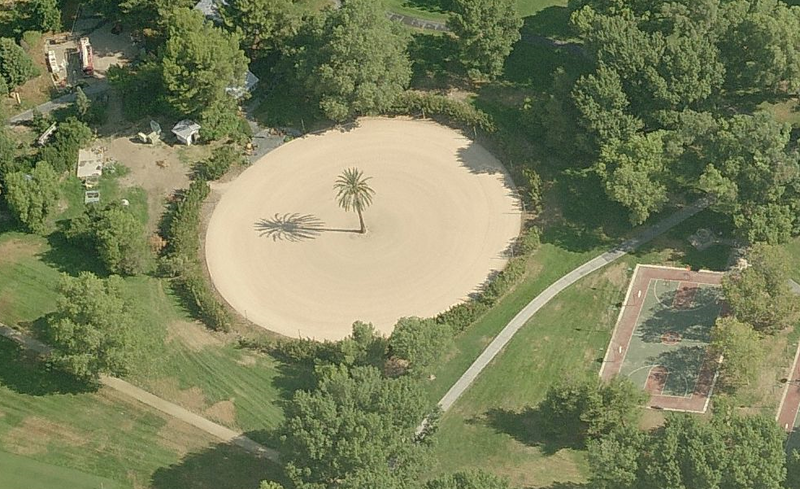 Golden Era Productions and Golf Course. The building at right is “Building 36”. Building 36 contains the Gold Executives and administrative staff, marketing, and manufacturing. Production studios for video and audio in upper portion of photo. Auditing rooms and “the Ranchos”, which are the book compilation, editing, design and typesetting units, are located to lower right. Flat-roofed building to the left is CMO International and Exec Strata are located in atemporary building, called “The Trailers”. In the nearby “200’s” are the offices of L. Ron Hubbard’s Public Relations staff and the LRH Biographer, Dan Sherman. Cine Castle. “The Castle” is a large, state-of-the art sound studio for filming. It also has alarge area for set and prop construction and storage, costumes, and makeup. Garage and motor pool at top. Massacre Canyon Inn is at lower right, where the staff eats, and where they have military-style “musters” three times a day. The Running Program Track is used for punishment. The Rehabilitation Project Force uses the track to force offending members of the Sea Org to run consistently in circles, without stopping, for up to 12 hours at a time. Secret Photos and Inside Viewws of the Scientology Headquarters "Gold Base"